Every year, ForColumbia has chosen Coyote Hill as a serving site because of this organization’s impact on our community. Though located approximately 30 minutes northwest of Columbia, the vast majority (over 90%) of children who have called Coyote Hill home for a season of their lives are actually from Boone County; Coyote Hill has been providing a safe haven for many Columbia children since 1991. When we spend time working for the benefit of others in our community who are hurting, we send the message that they are valuable. 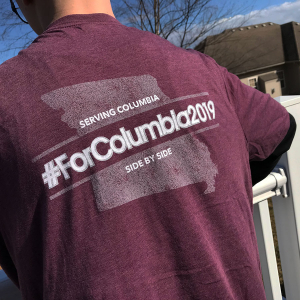 perhaps most importantly, though, ForColumbia volunteers will spend time with the kiddos currently living there.